In a bill signing ceremony on Friday in the Oval Office, President Trump made remarks while congratulating Ted Cruz. 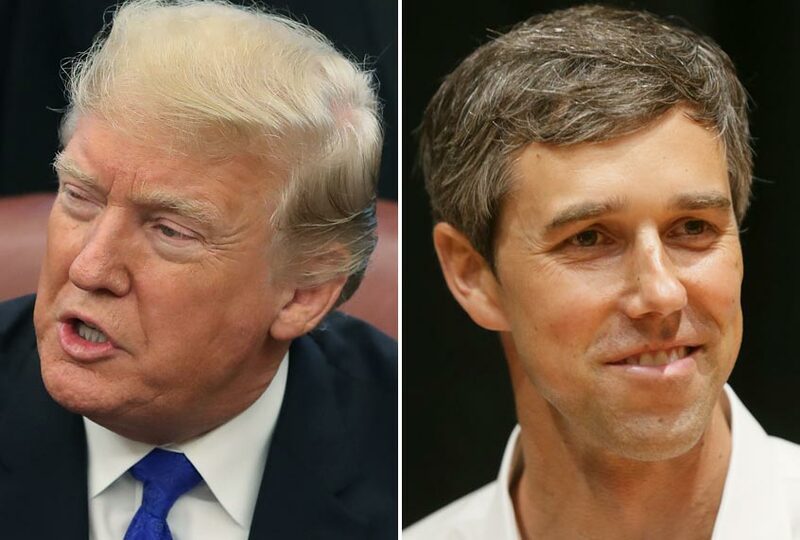 President Trump on Friday scoffed at reports that Rep. Beto O’Rourke (D-Texas) may be mulling a White House run in 2020. “I thought you were supposed to win before you run for president,” Trump told reporters after meeting with Republican senators to negotiate a government funding bill. The president was congratulating Sen. Ted Cruz (R-Texas) for his victory over O’Rourke, though the campaign was much more competitive than expected. The Democrat’s ability to run a tight race in the ruby-red Lone Star State, ignite the party’s base and rake in a record amount of individual donations catapulted him into the 2020 conversation ahead of what is expected to be a crowded Democratic primary field. Polls have consistently shown him in the upper tier of contenders, often trailing just former Vice President Joe Biden and Sen. Bernie Sanders(I-Vt.). However, the primary could possibly see upward of 30 candidates. O’Rourke said in November he has decided “not to rule anything out” when asked if he was running for president. The Texas lawmaker has cast himself during his campaign as a candidate who would work across the aisle to get things done, but also said he would vote to impeach Trump. “To quote George Will, a very conservative columnist, when we saw [Trump] on that stage in Helsinki defending Vladimir Putin, the head of the country that attacked our democracy instead of this country … that was collusion in action,” O’Rourke said in October, referring to a summit Trump held with the Russian president where he appeared to accept Putin’s widely discredited claim that the Kremlin did not interfere in the 2016 presidential election.